During its live webcast Palooza 2018 event, MONAT Global announced a new Advanced Hydrating System infused with REJUVENIQE S™, a next generation, super activated oil. The first two products of this line included MONAT’s Double Action Hydrating Serum and Heavenly Hydrating Masque. After the Palooza 2018 event, MONAT’s Advanced Hydrating Shampoo and Conditioner were later added to the hydrating line. “We understand that the first line of defense against dry, lifeless hair is a powerful, natural moisturizer. Our new Advanced Hydrating System infused with REJUVENIQE S offers the best ingredients for maximum hydration without silicon or mineral oils, which weigh hair down and are ultimately damaging to the hair follicle.” -Stuart MacMillan, president of MONAT. Inspired by award-winning research in the fields of biochemistry and cell signaling, The Advanced Hydrating System with REJUVENIQE S is designed to optimize hair for long-lasting hydration. MONAT scientists developed REJUVENIQE S, an exclusive, proprietary activated oil that delivers enhanced hydration to the hair and scalp. This clinically proven ingredient combines the nourishing and revitalizing powers of REJUVENIQE’s 13+ botanical oils and extracts with a patented, activated oil fraction derived from Olive Oil and Jojoba Seed Extract. 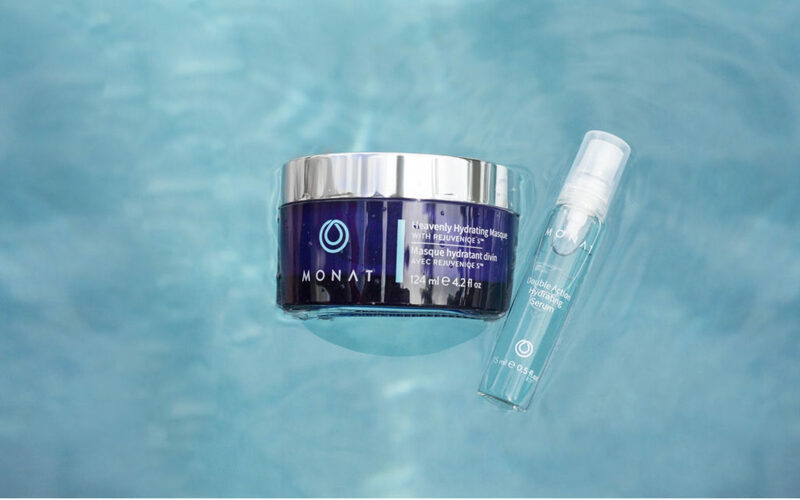 “MONAT’s REJUVENIQE S and new Advanced Hydrating System are designed to help restore hair’s moisture with extra nourishing oils and hyaluronic acid, which has the ability to hold 1,000 times its weight in water. In independent, third-party clinical tests, REJUVENIQE S increased hyaluronic acid expression for improved hydration maintenance by 31 percent, when compared to untreated skin.” -Jamie S. Ross, Scientific Board Member and Senior VP for Research and Development, MONAT. For More Information, Please Read The Official Press Release Here.